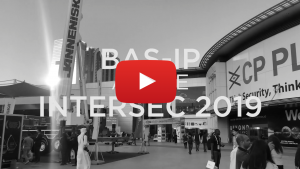 BAS-IP company as the annual official participant of the Intersec expo in Dubai has demonstrated new capabilities of IP equipment, innovative approaches and new solutions for IP intercom systems. The company’s booth was visited by many agents of the security industry from different countries. Our new distributors and partners are representatives of companies from Saudi Arabia and Pakistan. The company’s stand was visited by potential partners from the USA, France and Australia. The exhibition was held at the summit level! BAS-IP technical experts presented new IP indoor monitors and IP outdoor panels, as well as UKEY mobile access– new technology for gaining access to the premises by using a smartphone. By today, quality products, as well as effective collaboration and new partnership agreements, are our highest priority. We were glad to welcome everyone at our booth! See you again in the near term!